Early last week, I make a quick trip up I-35 to attend the American Society of Brewing Chemists’ Malt Flavor and Aroma Symposium in Roseville, Minn. I learned a lot, made a few new friends, and took a lot of blurry photos with my phone. Opening day! Summit Brewing in St. Paul were the gracious hosts of the opening reception. It was a beautiful night for a beer! Many of the presentation photos ended up looking very similar, just with a different graph on the screen. I’ll just add this one photo of a presenter, but trust me, I was there to learn! Getting some hands-on training to learn about the hot-steep method to evaluate base malt. This is something we’ll definitely be doing more in the future! Done with classes for the day, time for a field trip. 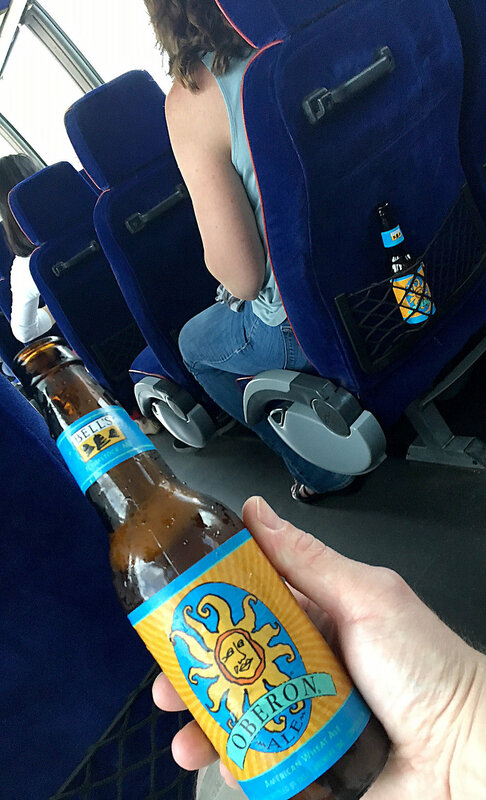 Of course there was beer on the bus. 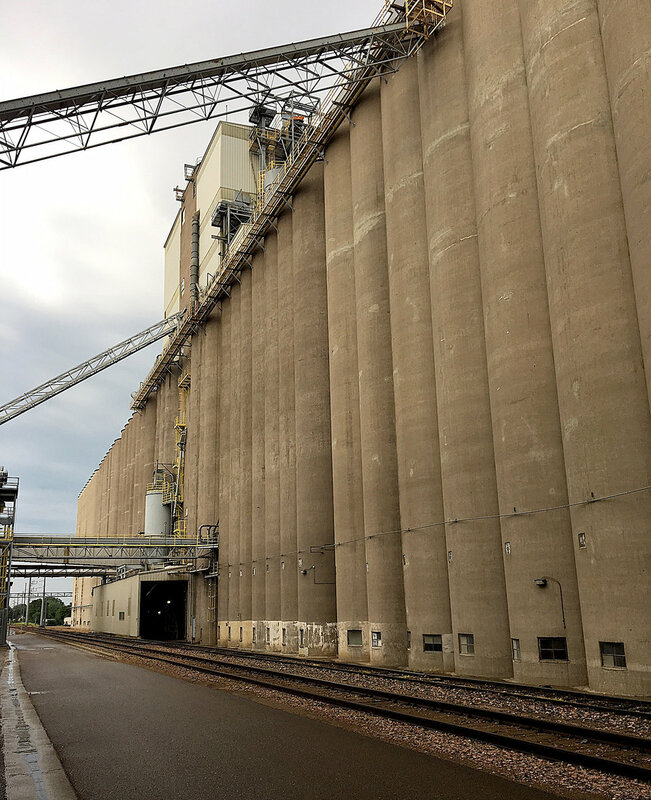 Rahr Malting in Shakopee, Minn. Is the largest single-site Malthouse in the world! The world!!! And of course, beer was provided. The first step in malting, steeping the barley. This gives the barley the moisture they need to start germinating. Step two: germination. This develops the starches and enzymes in the barley. You can’t make beer without those. Step three: Kilning. Stops the germination process and drives off moisture. This is the last step in the malting process, this malt is now ready to brew with! Of course there was a taco truck on site, the tour consisted of like 3 sets of stairs, everyone was famished! Also, more beer. I woke up early the next morning, so I asked my old buddy Trip Advisor to find me the best local breakfast spot. I ended up with this soufflé omelet and pancakes. I’m still full. When you run a small business, it doesn’t stop running just because you’re not there. I had sneak up to my room at lunch and answer a few emails. Just in case you forgot what I looked like. Our second field trip was to the University of Minnesota’s Barley fields. They showed us around and told us about some of the research they’re doing. It’s not turned in to beer yet, you’re too early little guy! More bus beer. Headed toward the river for a riverboat cruise. Riverboat beers. These two new pals are from the Netherlands and Scotland, respectively. I also met folks from Australia, Canada, California, Colorado, and I’m sure a few other places that I’m forgetting. The last morning, including a presentation about malt in whiskey. After trying to cram my head with knowledge for one last morning, I grabbed a bratwurst, and headed back home. Overall, this conference was a great learning experience for me. Almost everyone at the event had some sort of formal scientific training except for me, which wasn’t a bad thing. Just being around all these smart people helped me learn so much. I met scientists, sensory techs, brewers, maltsters, and more. The presentations were amazing, but sometimes you can learn just as much over a few pints.